LOS ANGELES, CA--(Marketwire - Sep 10, 2012) - What happens when a single, transformational event alters the course of history, when foreign policy is driven by fear? Looking back eleven years later, is what happened more important than how we reacted to it? If the right lessons weren't learned, are we in danger of repeating history? Award-winning playwright turned author Timothy Allen Smith answers these questions and more in "CAPTIVE," a riveting new novel from Twenty / 20 Books, based on his acclaimed stage play of the same name. In "CAPTIVE," Smith masterfully parallels the events of 9/11 and ultimately, challenges the reader to see how fear can be the most dangerous terrorist and our minds the most restrictive prison of all. "CAPTIVE" is the story of nine strangers, taken hostage and held in a room together. By unfolding a sequence of events that intersects the lives of these individuals from various ethnic backgrounds, Smith expertly creates his own little societal melting pot. By locking them in a room together with no way to escape, Smith leaves them with only one thing in common... fear. "CAPTIVE" debuted as a touring stage play in 2003, playing to packed houses across the country. Audiences became enthralled by Smith's vision of an alternative to the deafening beat of war drums dominating public discussion after 9/11. The overwhelming response compelled Smith to create a vehicle that would allow him to expand on the themes of cultural sensitivity and diversity in a post 9/11 world. The idea for a trilogy was born, with "CAPTIVE" as the first of three novels, following the hostages from the night of their ordeal, on through the rest of their lives as they cope with the aftermath. Definitely a thinking man's book, Smith offers the reader a hopeful vision of a future where endless wars and senseless bloodshed are not the only alternatives. In light of recent, real life events, i.e. the Colorado theater shooting and Sikh Temple massacres, "CAPTIVE" could not be more relevant and, as such, has been nominated by Villanova University and the University of Wisconsin for their "One-Book" and "Big Read" programs respectively. In "CAPTIVE," what begins as an innocent night at the theater quickly turns into the unthinkable. Smith pulls no punches in taking the reader into the room and allowing him to be a fly on the wall as the hostages react, not only to the situation, but more importantly, to each other. Racial tension, homophobia, and even age come into play as heated discussions and accusations soar and hit like bullets. The characters represent all walks of life including the young and affluent conservatives, Mark and Amber O'Conner; ultra liberal academics, Lisa Woodward and Walter Curtis; born and raised inner city kids, Toshia and Dexter Swindell; the Spanish speaking, Eleodora and Lena Gonzalez; and Robert Cohen, a former marine with a few secrets of his own. A seasoned playwright, Smith made his first 'book mark' as the co-author of Melvin Childs' "Never Would Have Made It - The Rise of Tyler Perry, the Most Powerful Entertainer in Black America (and What it Really Took to Get Him There)." 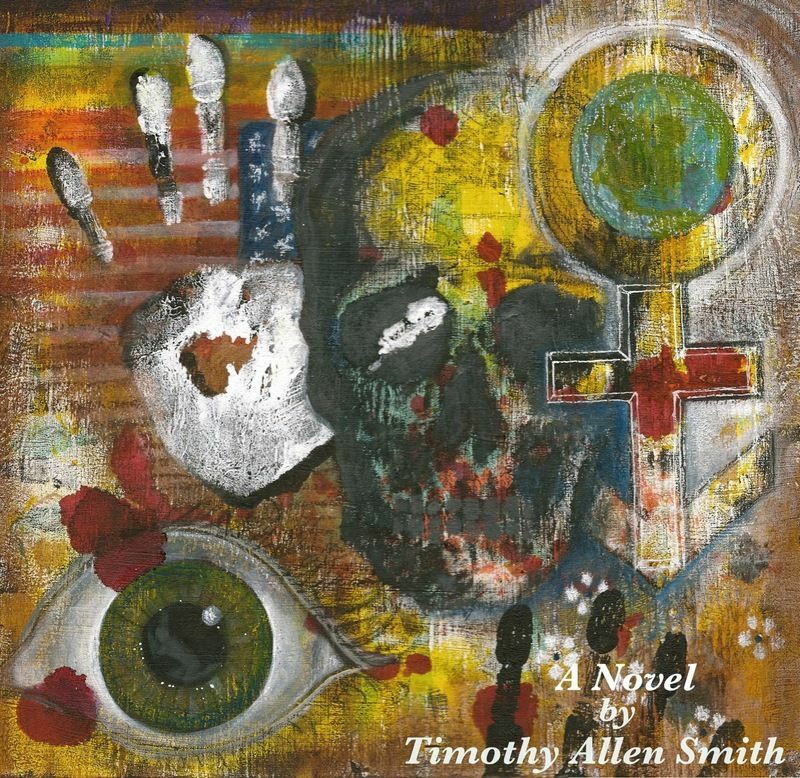 A native of Philadelphia, Smith's bloodline offers him a mixed perspective on the world. As the nephew of Eugene Carl "Bo" Baynes, the recently deceased founder of the Black Mafia in Philadelphia, his background is tempered with views that run the gamut of observation. With a penchant for propelling thought and discussion, he includes in "CAPTIVE" a list of "Book-Group Discussion Questions" designed to elevate the reading experience. "At its core, 'CAPTIVE' is about the questions we didn't ask after 9/11," reveals Smith. "This isn't about any crazy conspiracy theory but let's be honest, at the time there simply was no appetite for the discussion of an alternative response to the march to war. Now here we are 11 years later, and nothing has changed. We're still being driven by fear and, even worse, we're still at war. The question today is, have all the bullets and bombs really made us any safer? I believe fear is a bigger threat to our freedom than Al Queda ever was, and my vision for this trilogy is to make people less afraid. Simple as that." Smith plans to continue the storyline with his next work, "A Line in The Sand," which will follow the lives of the survivors as they adjust to life after their ordeal. Ultimately, Smith hopes to reveal that when we are no longer prisoners to our fears, we can become captive to a true vision of freedom and make positive choices that benefit society as a whole. "CAPTIVE" takes hostage at www.captivenovel.com.